This is the bike that started it for me. When I studied architecture in Glasgow, I also worked as a courier. In 2002, only a few of the messengers, Donny, Ryno, and Movie, rode track bikes. Though he will probably deny it now, I can even recall Brian "The Auld Boss" Dunsmore, saying, "Track bikes, fixed gear? Nae way, I'm a messenger. I need two brakes." James Tait bought the track frame Brian wouldn't ride. By 2003, we were all on track bikes. The beauty and elegance of these frames were obvious. We quickly recognized the performance of the classic track geometry. The steep angles of the head and seat tube made the bikes very responsive for cutting through traffic. The minimal set up of the single fixed gear eliminated both the need for adjusting the derailleurs and replacing brakes making it ideal for day in-day out riding. At the time, unless you were a track star or a wealthy Swiss bike messenger able to shell out for a carbon frame, or willing to sacrifice comfort by riding on a unforgiving aluminum frame for an 8-hour shift, there wasn't anything else really available, especially in steel. 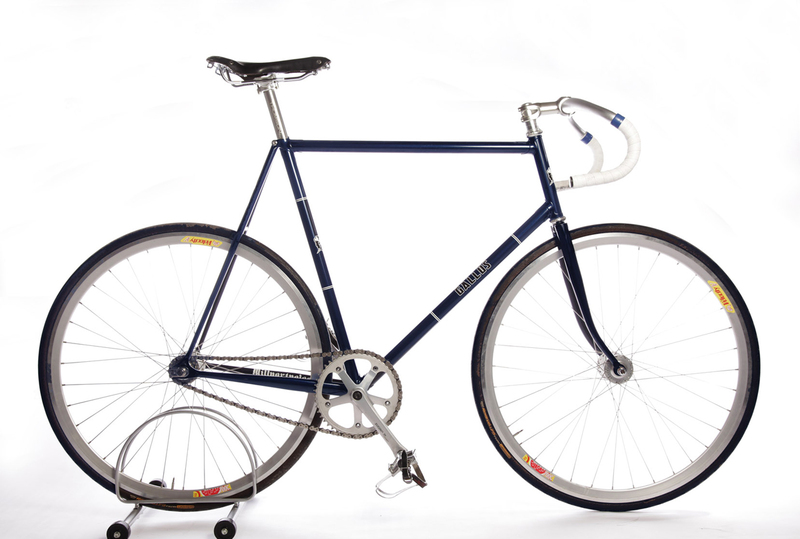 To find a decent frame, couriers vintage track frames mainly from the 70's and 80's and handmade by small builders like Bob Jackson and Condor. And if you could get your leg over a Flying Scot, you were the big man at Blythswood Square. It was hard for me to find a decent frame in my size, and initially settled for a more contemporary bike. 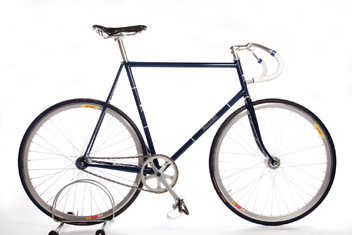 But it was this admiration for these old frames, lack of decent new frames, and my background in design that led me first to craft my own track frame, and then after several years of building frames, establish Gallus Cycles. Enough nostalgia. What does a Gallus track frame offer? 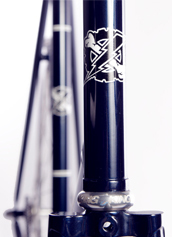 All frames are custom, so every detail can be tailored to your needs. 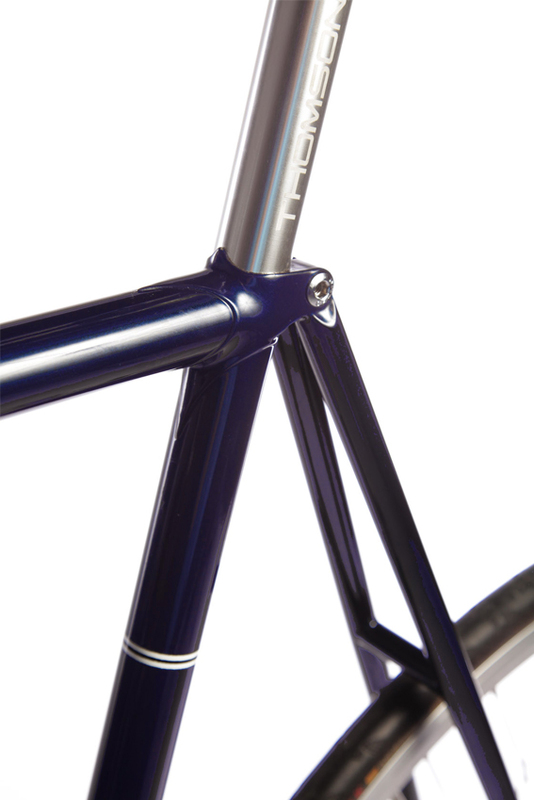 To make the choice easier, track frames are usually built around a traditional geometry or as an urban fixed gear. 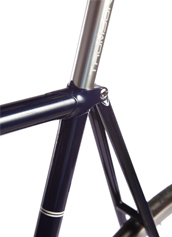 Both frame styles have a high bottom bracket for pedaling through corners. Traditional track frames tend to have a steeper head tube and seat tube angles, short chain stays and fork length. 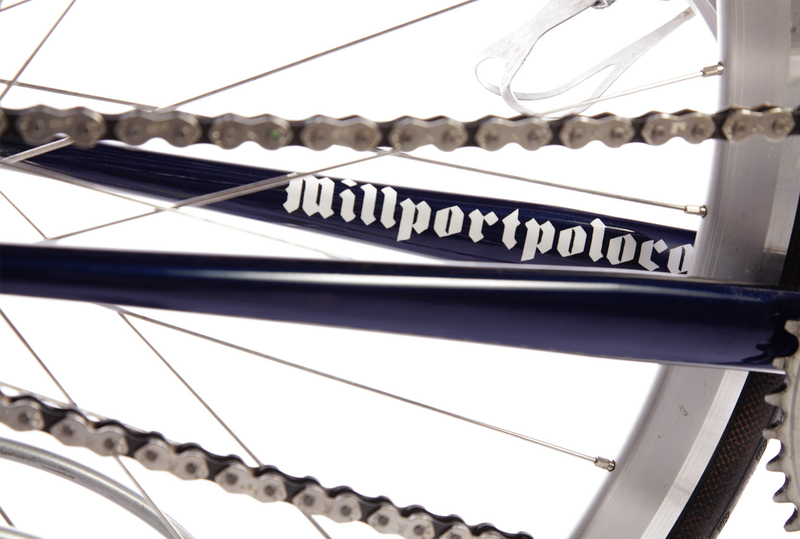 This creates a stiff speed machine, perfect for the track or those double express cross-town deliveries. 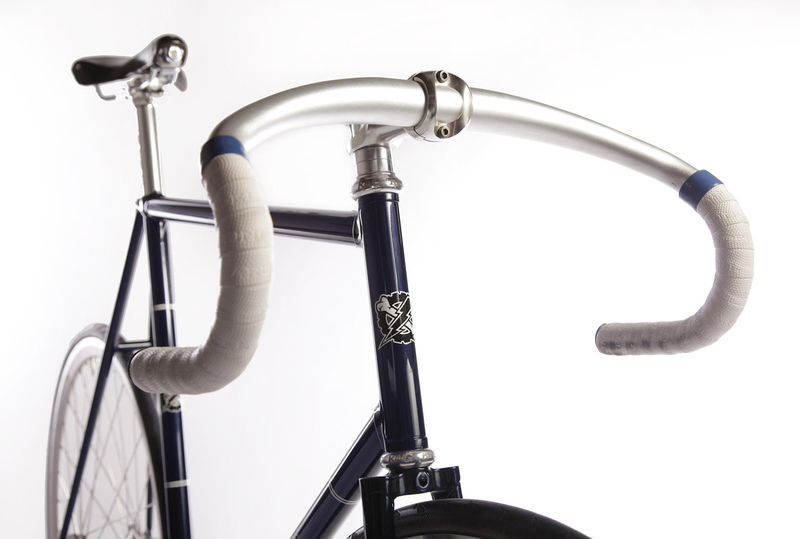 The urban fixed gear has a slightly slacker head tube, longer stays and fork. It's still plenty fast, but would ride more like a road bike than a track frame. 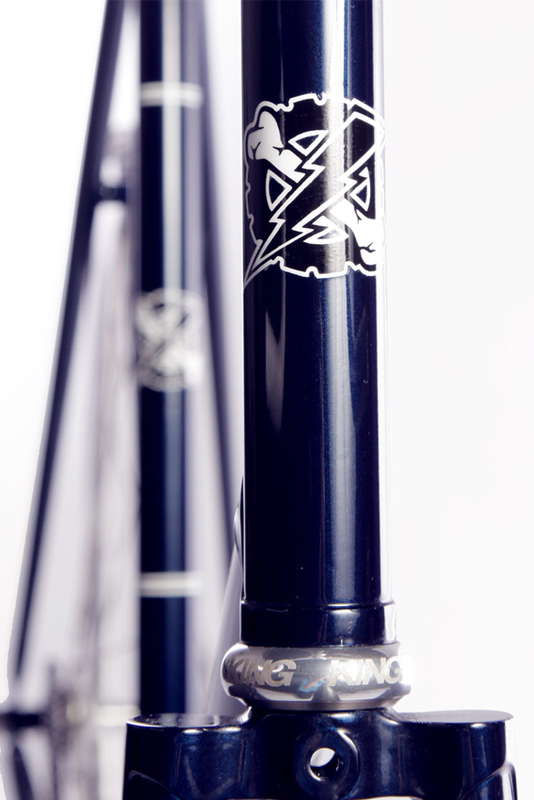 That said, the very nature of being a custom frame builder, enables us to apply the simple elegance of a track/fixed/single speed to the geometry that suits you, your style, and desired comfort.